This buoyancy of sound is how we can heal ourselves and break free of the karmic chains of the past. Let’s say you are in a boat that has been stuck out in the ocean at a lonely location, and you feel as though you can’t stand another day lost at sea. So you try to pull up the anchor, but it’s been embedded and stuck at the bottom of the ocean for so long your strength alone is not enough to dislodge it. If you could only get a few people to help you it would be quite easy to pull up the anchor. Shift yourself to a space where there are other’s creating the same frequency of sound which will act as a lever to free yourself from the karmic entrapment. One of the most powerful mantras in the science of Kundalini Yoga is “Ek Ong Kar Sat Gur Prasad, Sat Gur Prasad Ek Ong Kar”. It is considered the “magic mantra” because it can shift the flow of the psyche so powerfully that new opportunities seem to materialize out of nowhere. Chanting this mantra for just 11 minutes a day from now until 11-11-11 will allow you to catch a new wave of energy which will liberate you from the chains of the past. A modern spin on the mantra is done by Sat Darshan Singh and Sirgun Kaur on the album "The Music Within". 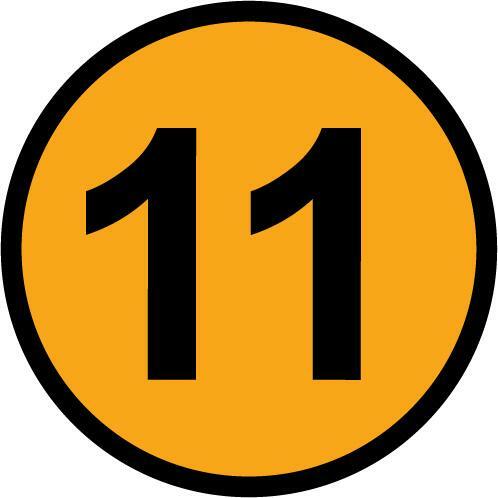 Where will YOU be on 11.11.11? Join us at the Kundalini Yoga and Music Festival in Rishikesh, India! All together = 11.11.11 it’s does means something??? i I keep seeing 11 all the time…. sometime in midnight i awake and that s time sharp 11.11 ……. Can you explain this at all? Oh no…you are on the train! The Aquarian Age didn’t stop at 11-11-11…it’s only just begun! My grandauther was born this morning 11 -11-11- hour 12:35 = other 11 wath is the importance of this all numers??? uuuh i forgot… HAPPY 11.11.11. !!! People . . . it is just another day. There are lots of other calenders out there where that day 11/11/11 is just another day . . . what makes you think our modern calender has any connection to ancient numerology superstitions? On that day just be glad you are alive and have a full belly. There are 7 billion people on the planet today and most of them have never heard of you superstitious numerology nonsense. So I bet this little note doesn’t get posted . . . typical . . . I am celebrating my birthday on 11.11.11. Does this day mean any significance apart from being a year older? is there anybody who can tell me iff there is also something to do on 11-11-11 in the south of India? I will be traveling from 29 october until 18 november from Goa to Chennai, and I would love to be apart of the festivals! 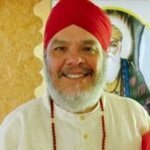 Also maybe some help with finding Kundalini Yoga lessons are teachers who I can meet there? Every information I find is located in the nord of India. By organising a global 24 hour event with a focus and concentration on celebrating interconnectedness, we manifest and attract more of what we want on a global scale: a greater sense of interconnectedness as a foundation for a world that works for all life. Wonderful to learn about this event in India, it will certainly add to the experience and consciousness. A pity that not everyone will be able to afford participation. rab ji ne banaye saari shristi. sab vadhiya. he has made all night and days . all years and light years . every day and date is just to remember him. Thank you for your intro to the vibrational forces associated with 11-11-11. More specifically, 11 is a “Master Vibration” equaling 2–the vibration of rhythm, flow, duality–but is derived from the combined vibrations of 1–singularity, initial force, creation, leadership. When we combine the three dates, 11-11-2011, the numbers add up to 8. Eight is the vibration of prosperity, organization. The combinations of ones & twos to give us eight is very Aquarian. It symbolizes the dynamic forces of individualism or self-motivation with a clear indication for the importance of union, duality, and balance toward a creation of prosperity and order. We live in unsettled times. Here again 11-11-11 is a sign post that, like the Hopi elder reminds us, we each must be our own leaders, but in cooperation and harmony with others in order to realize prosperity. I look forward to the festival and raising the vibrational spheres toward the positive creation of our New Age. Seeing the number 11 constantly could me any number of things. It might relate to something in your own numerology, as being born on the 11th, or in November, or it can mean something else entirely. It is most likely your soul tuning into the change of the age, and reminding your mind to stay in what is called “parallel unisoness”. The Aquarian Times website should be posting my video on this concept next week. This will help to round out the explanation. Hi, I keep seeing 11 all the time can you please explain in more detail what this is all about.